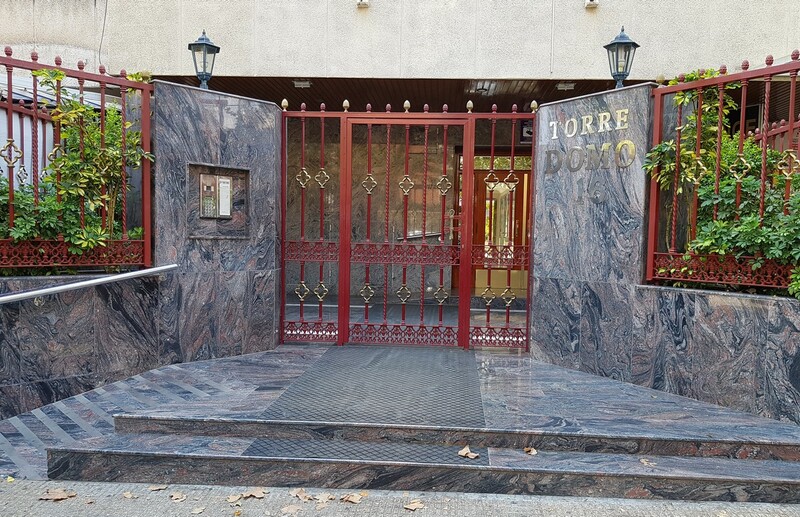 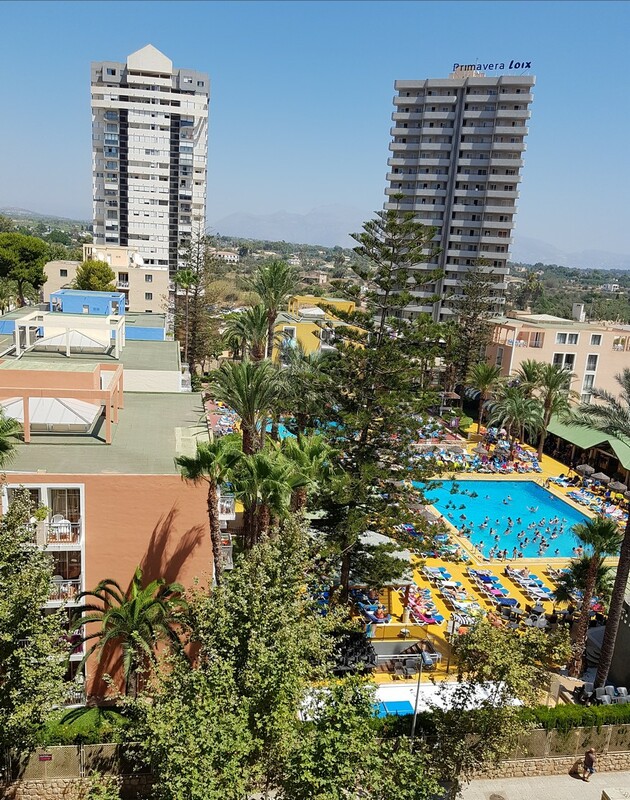 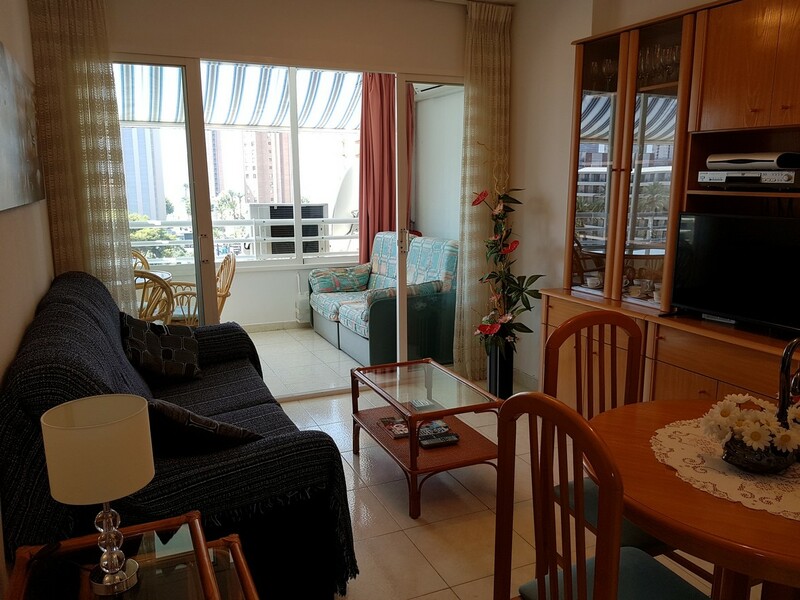 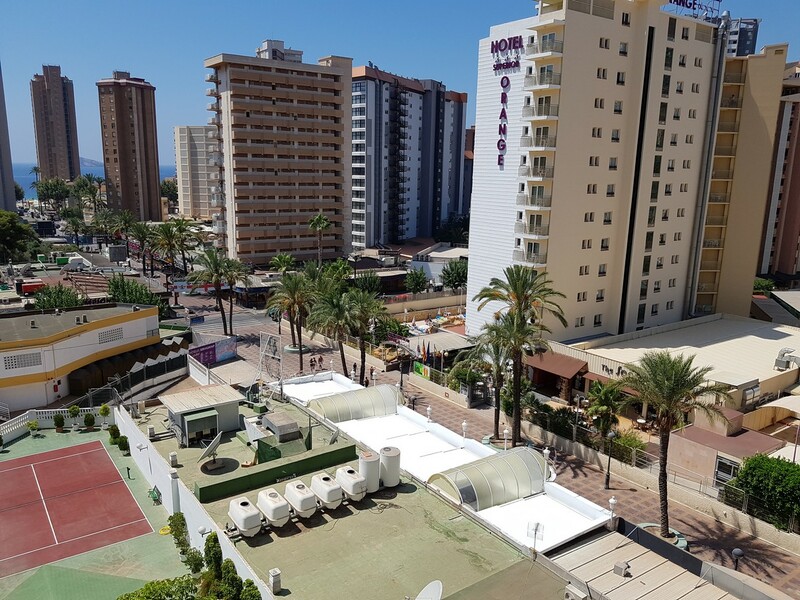 Just four streets back from the Levante Beach, and backing onto the Hotel Venus, the Torre Domo is situated in the very heart of Benidorm’s new town. 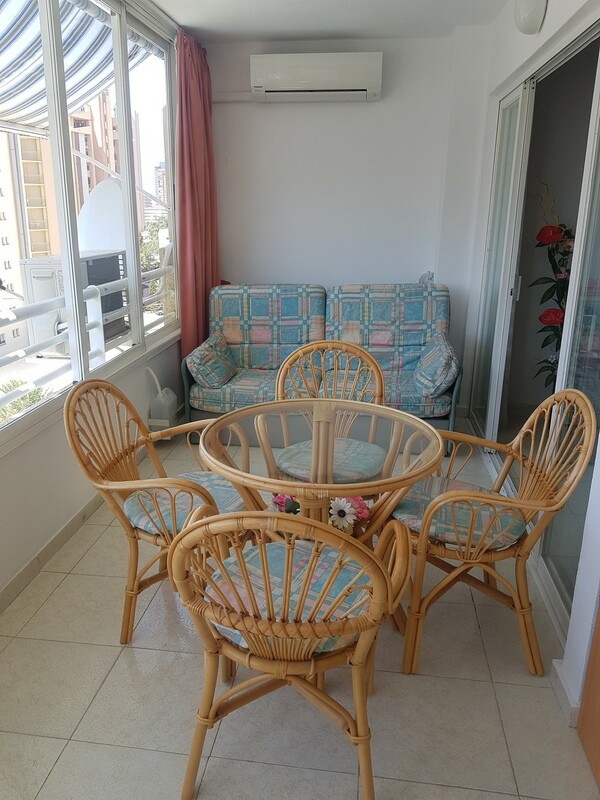 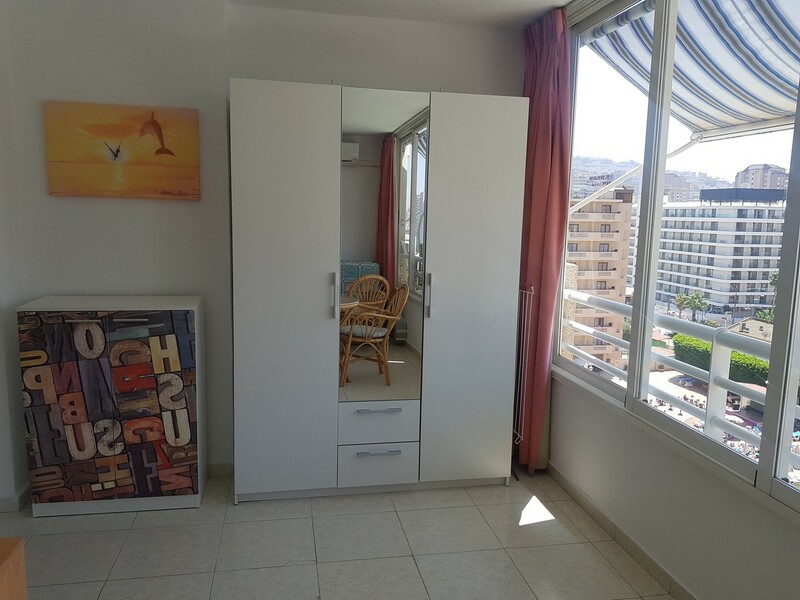 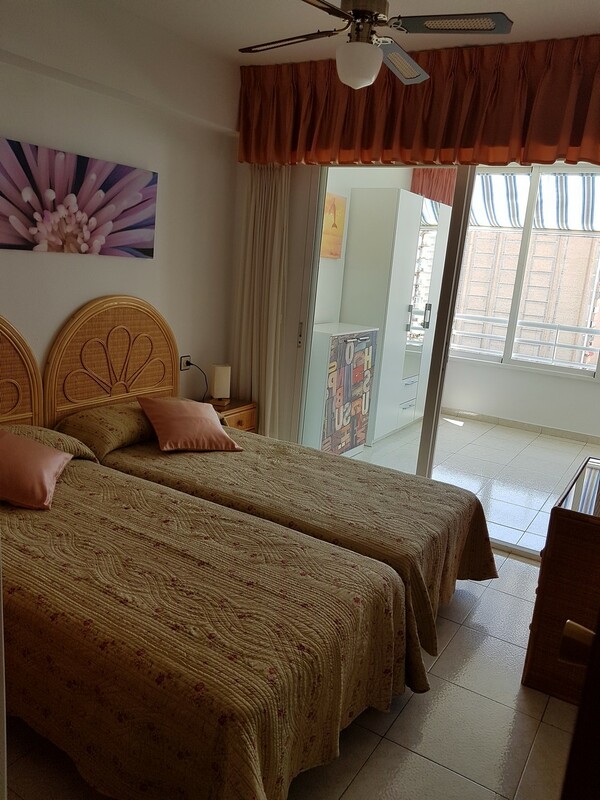 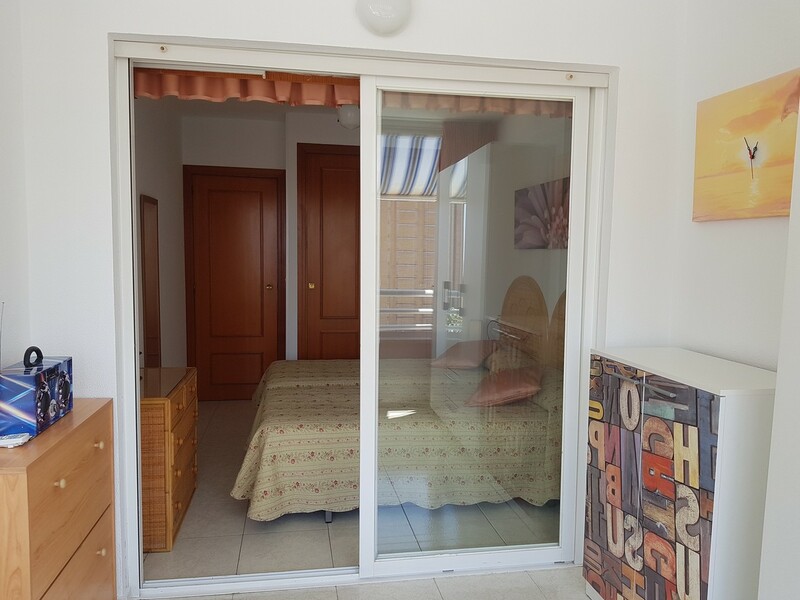 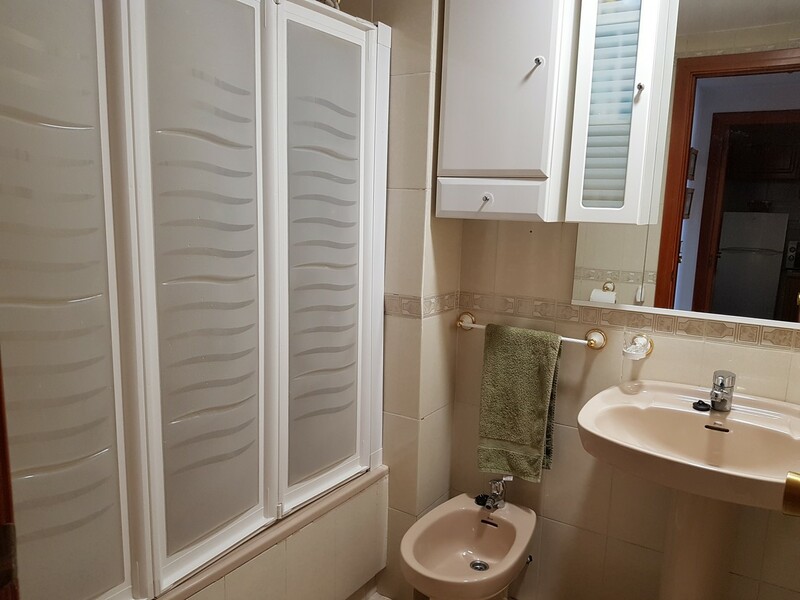 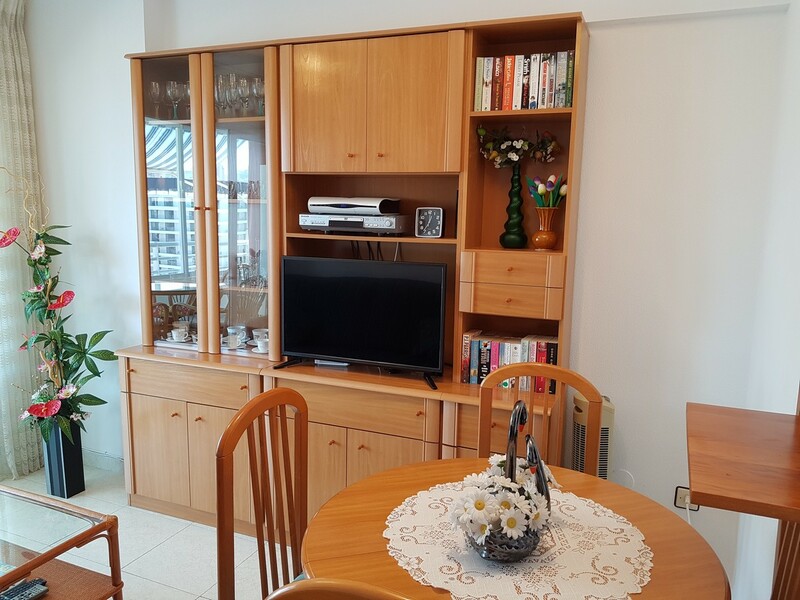 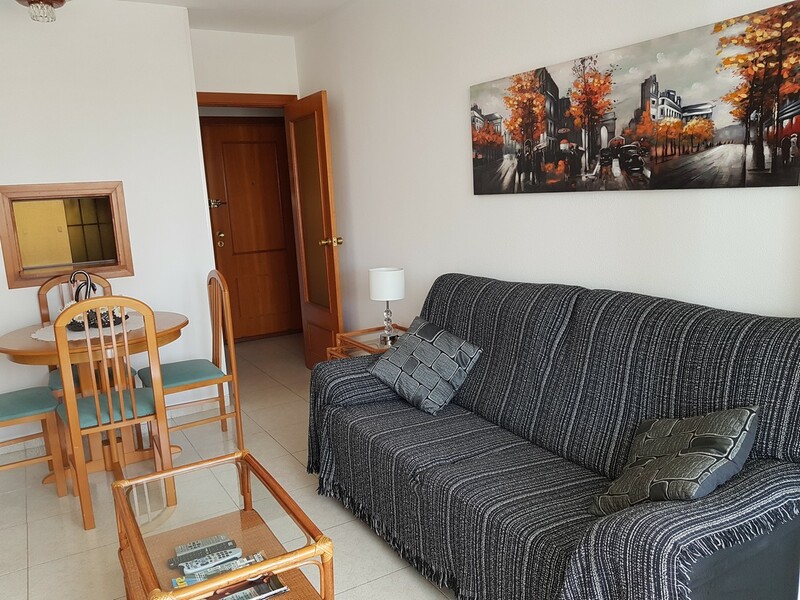 This comfortable, sunny apartment offers the perfect space to enjoy a relaxing holiday in Europe’s favourite holiday resort. 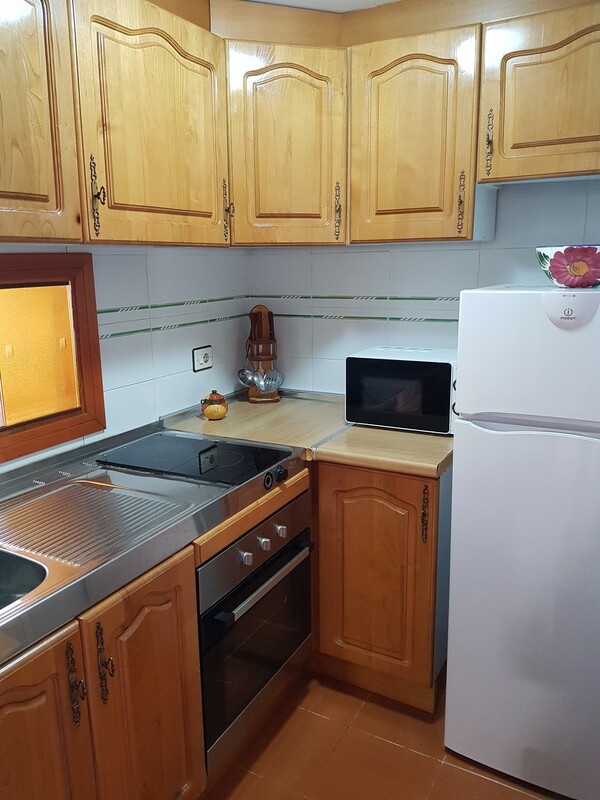 The compact yet well-equipped kitchen offers both electric oven and vitro-ceramic hob, as well as kettle, microwave, washing machine and toaster. 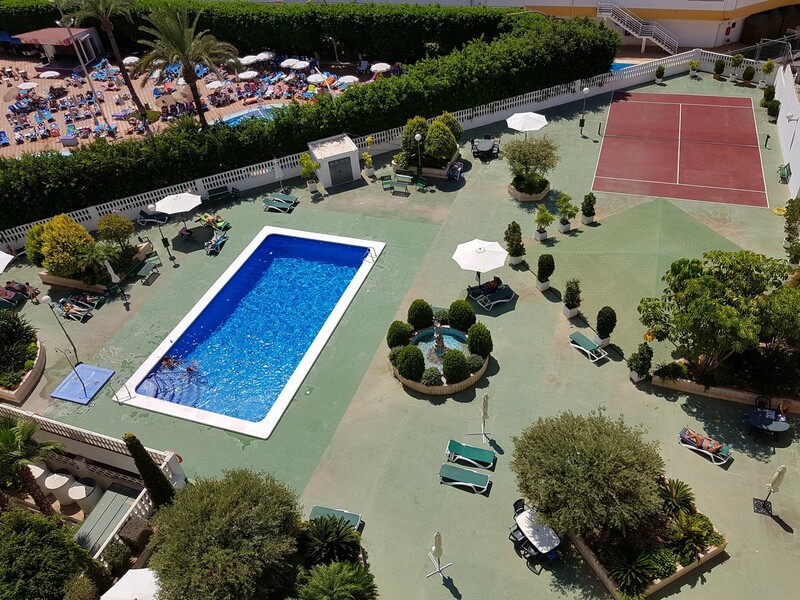 The living room has comfortable sofa, flat-screen TV including a large selection of British TV channels, whilst the spacious terrace enjoys all-year-round sun and pool views.